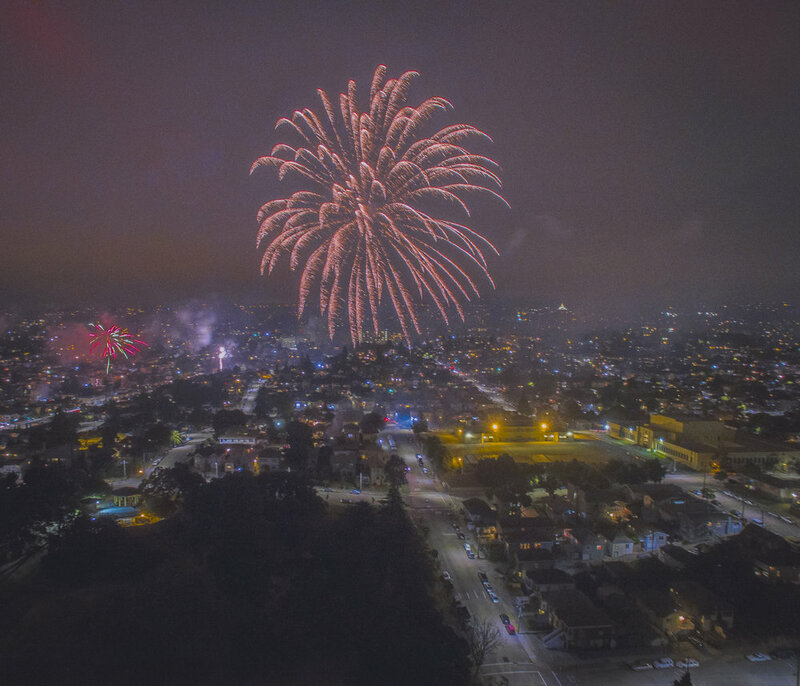 For a few years now ( I think this is year 4) my 4th of July routine has been to document the"Illegal" fireworks displays in East Oakland. It gets super crazy and amazing, the whole city is pretty much a fireworks show. The only city I think that has Oakland beat is LA. 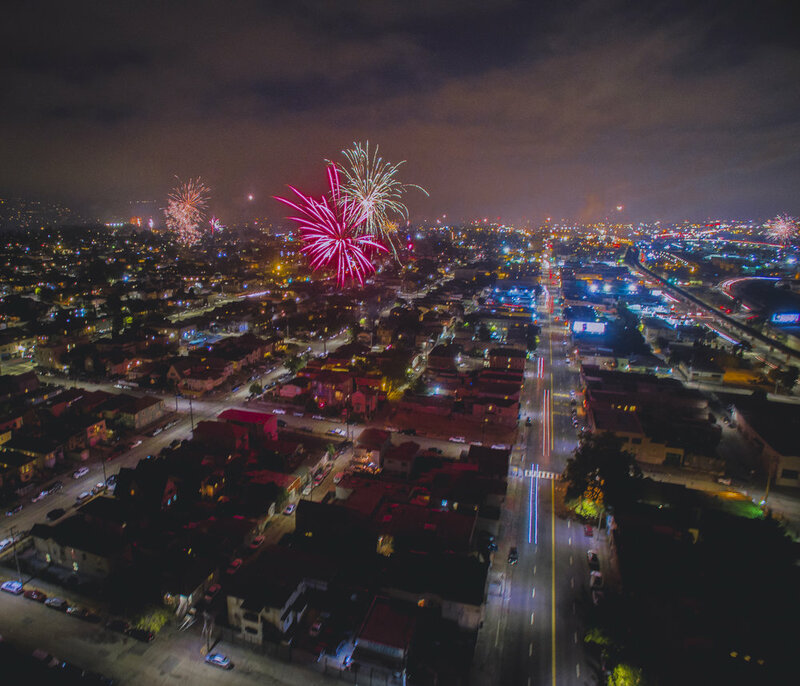 All the previous years I shot the images from the ground, this year I used a DJI Phantom 3 4k to take the stills from the air. The photos below were taken over in Funktown and E.14th @ Seminary. I hope you dig the images.